A rainbow of stripes has taken over the Diane von Furstenberg collection, and we’re embracing every line. 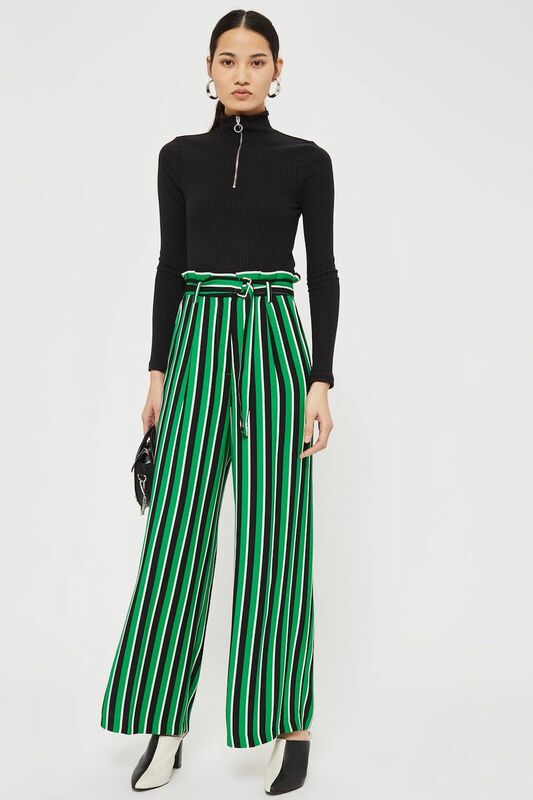 DVF’s Carson Stripe line is a structural goldmine of bold, brilliant stripes in a multi-colored palette of magenta, blue, crimson and olive green. Featuring the brand’s classic wrap closure, the skirt embodies movement and vivacity with every twirl. 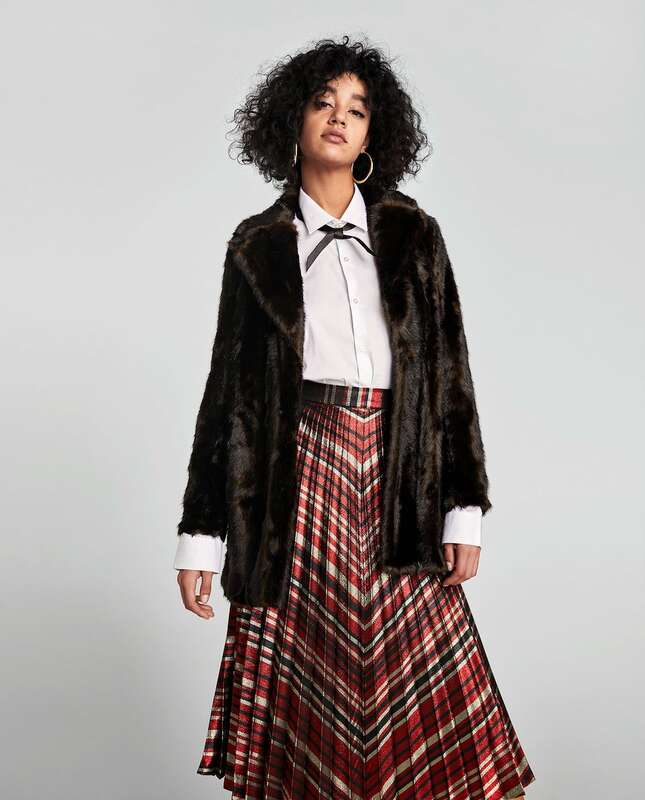 Zara’s lustrous pleated skirt is quite the glamorous spectacle. The sheen fabric is printed with a flattering chevron motif in deep read, black and silver. Rather than choosing a traditional stripe, a chevron’s centered arrow shape attracts the eyes and makes you the center of attention. Dress to stun and dance the night away in this flirty, versatile number. Elongate your legs with an irresistible wide-legged pair of pants that are both lavish and lengthening. The retro and relaxed pants will introduce an enticing throwback to the ’70s era with daring hues and flattering flair pants. The cinched waist will flatter your midsection while letting your long legs strut their stuff freely. Sit back, stretch out, and stir up the attention in any room with these complimentary and comfy pants. Sandro’s oversized shirt dress is a casual way to introduce both classy stripes into your wardrobe. Perfect for a capsule collection, the red and white striped wraparound dress offers simplicity without shortchanging you on style. The tie belt will accentuate your waistline, while the loose skirt allows for breathable to beat Miami’s year-long heat. We applaud Sandro’s dress as a red, white and beautiful creation if we do say so ourselves. Parlez-vous français? 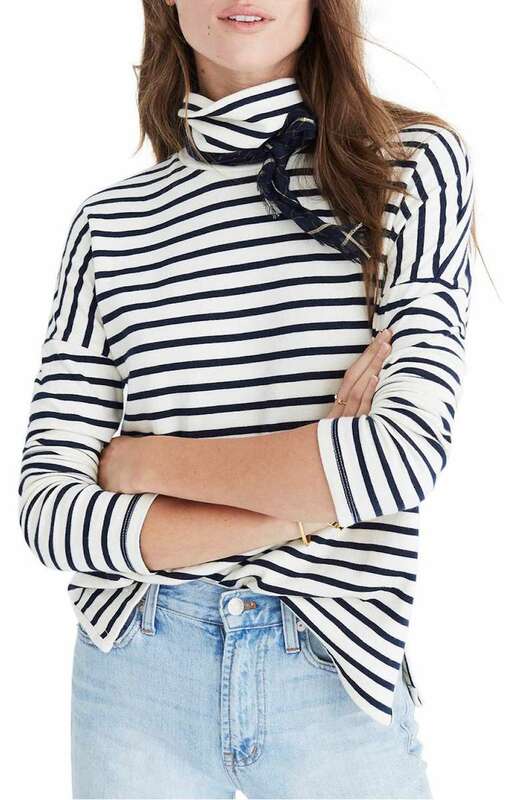 Passerby will assume you’ve hopped off a flight from Paris to Miami in Madewell’s mariner striped turtleneck. The double-knit jersey top is an understated stamp of sophistication on your passport to closet perfection.